Delhi were going strong at 144 for 3 in the 17th over, chasing 167 but Sam Curran's hat-trick saw the visitors being bowled out for 152 in 19.2 overs. IPL 2019 KXIP vs DC Preview: Can Ashwin's Punjab break Delhi's team spirit? 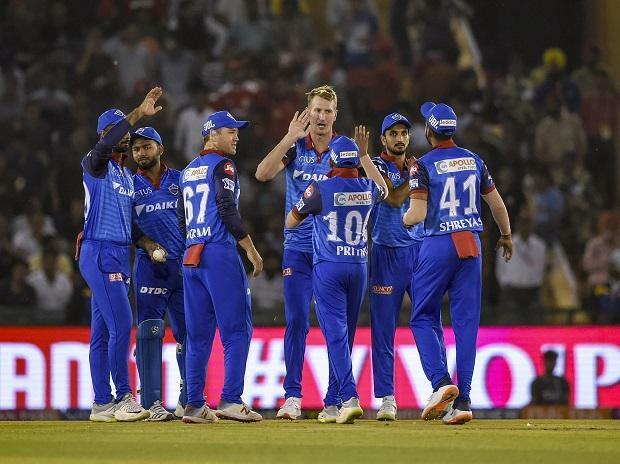 Left speechless after Delhi Capitals' collapse, skipper Shreyas Iyer said his team simply "panicked" and "miscalculated" the target in its 14-run loss to Kings XI Punjab in an IPL fixture here. "Really disappointing. With the way we were going, we came to run-a-ball and to lose from there. We didn't play smart cricket and Punjab outplayed us in all the departments. "We miscalculated the target. I think It was just a panic in between. They got two wickets in succession, (Chris) Morris and (Rishabh) Pant and there we lost the match. Our batsmen did not taking initiative to win the game," the skipper said. In their earlier match, Delhi Capitals had won the game in a Super over despite looking good at one stage to overhaul the target against Kolkata Knight Riders. Iyer said his team needs to learn from their mistakes. "I couldn't figure it out what happened today. It happened in the previous match as well, we were going really good and suddenly ball-to-ball.... these are key factors we have to work on," he said. "Our batting has been really dominant right from the start but we need to learn from this small things." Iyer was also critical of their bowling. "Also we didn't bowl that great to be honest, we got a bad start but we controlled in between and that is something we need to take forward," the Delhi skipper said. "Looking at the quality we have, I think we shouldn't be losing such matches." Asked about Sandeep Lamichhane, who took two for 27, Iyer said: "Sandeep is a confident lad, he has been playing all over the world, he has been bowling invariably really well. So I am really confident as a captain to pass on the ball to him at any time. "The way he varies the pace and he spins the ball even when the wicket is really flat. I have great confidence on him and definitely he will do well in the tournament." Iyer said Delhi will have enough time to work on their shortcoming since it happened early in the tournament. "In a way, it is good that it happened at the start of the tournament, there will lot of learning out of this and we will look to comeback strong," he said. "I feel these things happen in the game, it is uncontrollable. We just have to apply ourself in between and just be smart, everyone has got a good mindset. "It is not that we are weak. We have played lot of cricket and have good experience also. We just have to smart and be calculative in taking risks." "Not many times, you defend. When Rishabh hit the six, we just needed to hang in there. Credit to Shami and Curran. We were probably 25 runs short. We backed ourselves to defend with three spinners," he said.